These products are my favourites, I use them all daily and of course had to share them with you guys. We have some a slightly higher end mixed in with a few highstreet price points and for me, that’s the perfect combination. If I know a product works and it’s worth the extra dollar, I don’t mind splashing out a little more every so often. 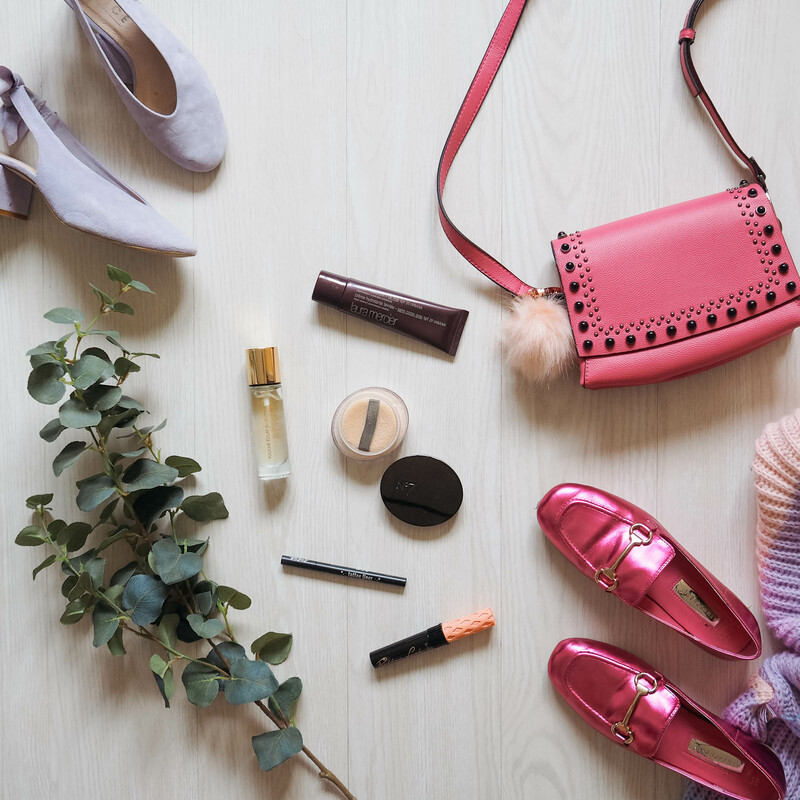 Of course, this doesn’t mean that high street products aren’t just as good either because you guys know I’m a highstreet girl through and through! I have used this No 7 powder for years after I was first introduced to it by my Mum. 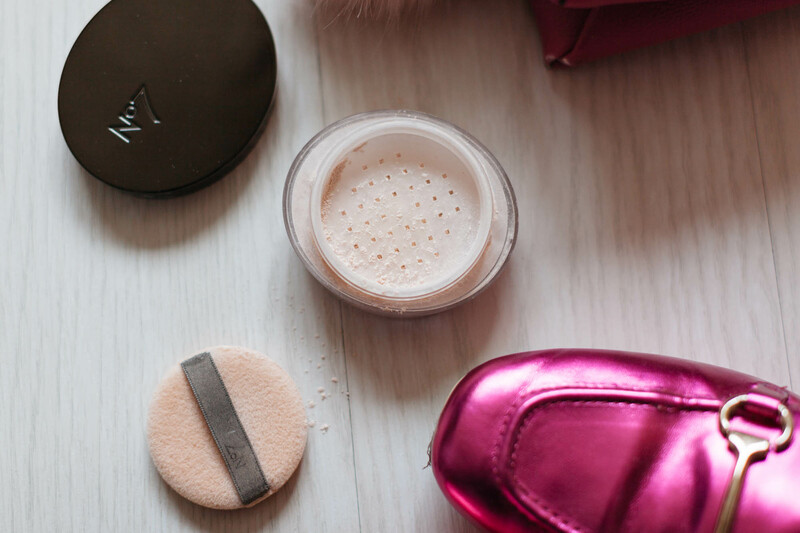 I tend to use the pad to pat the powder under my eyes after concealer which helps keep it in place and stop any creasing. Then with the remaining powder in the lid, I swirl my brush and lightly dust it all over my face. I find this powder keeps my foundation looking flawless for longer but it’s super light, so doesn’t feel too matt and heavy. I tend to buy the translucent version, just because I find I can wear it all year round without having to change to lighter/darker shades. 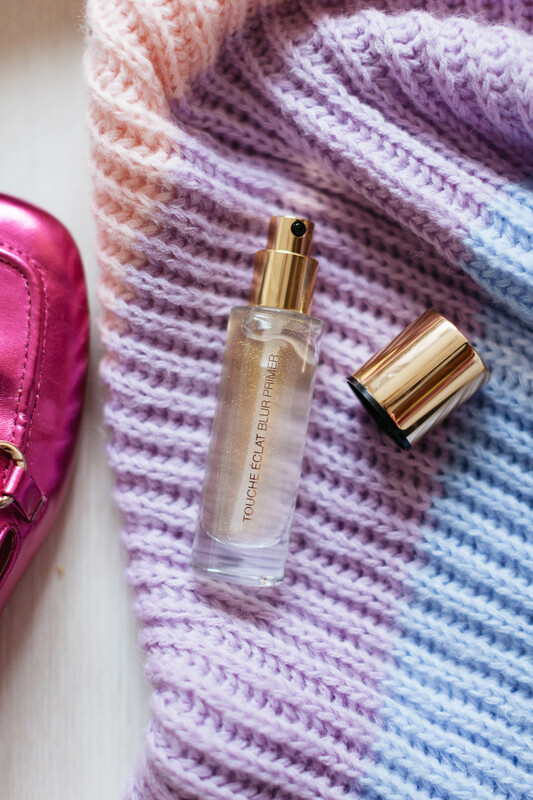 I’ve always loved using a primer before foundation, I find it makes it not only last longer but apply more flawlessly too – it leaves my face looking so much more illuminated. This YSL one is my current favourite and I’ve been using it for months now, even on no makeup days. It’s a transparent gel and it helps to give my skin a healthy glow before I even start with makeup – that’s always a win for me. It tends to blur pores and fine lines and evens out skin tone. It may seem on the higher end scale in regards to the price, but I think it’s worth it. Forget the new release from Benefit, this one is my jam. I absolutely adore the Roller Lash mascara. The brush is lightweight & thin with a 30 degree curve, because of this I find I can get really close to my lash root and my lashes end up looking so much longer. I tend to wear just one coat for a more natural look but for a more dramatic vibe, I layer up a few coats and this works really well. It’s the kind of mascara I always get complimented on, so I can never not use it! This Kat Von D eyeliner is a miracle, honestly. I have repurchased this little gem so many times now and I’m not sure what I would do without it! Infact on my Wedding day my Bridesmaids used this and even they have since bought it, it’s that good. 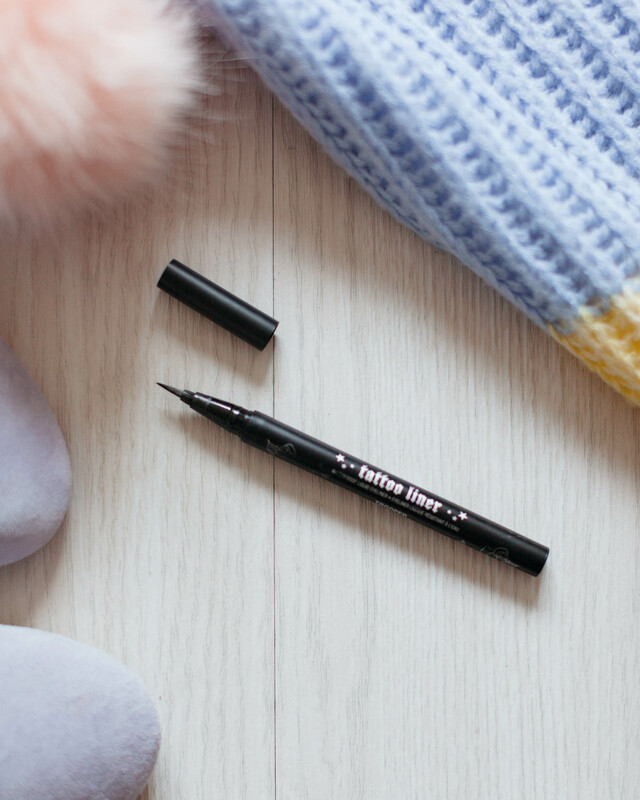 The pen-like style and long nib make eyeliner really easy to apply and create shape whether that be a tiny subtle flick or a dramatic one. 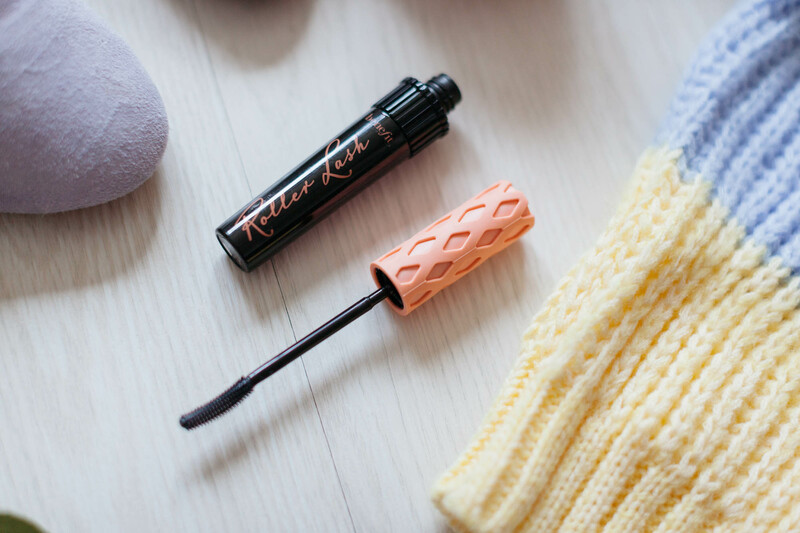 Not only is the application great but the product also stays on all day long… no creasing/smudging, even when you rub your eyes (however it’s still easy to take off with makeup removers, horahh!) This has to be the best eyeliner I’ve ever used and I’ve used a good fair few! 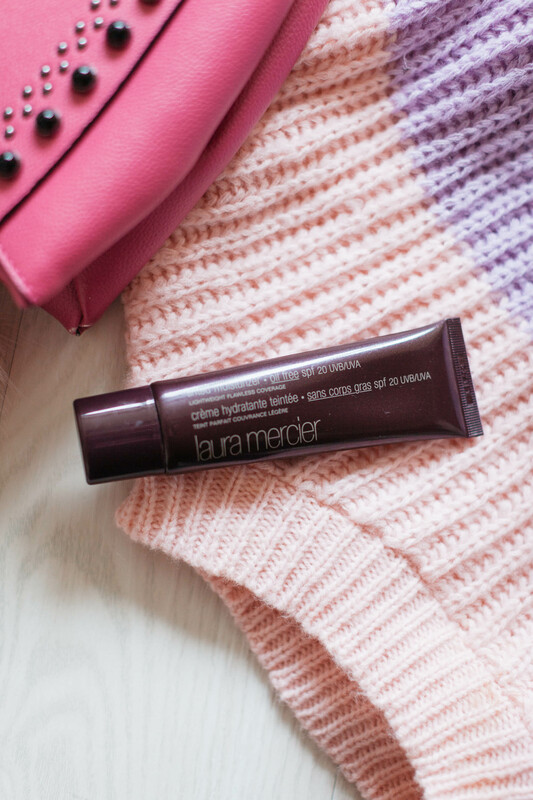 Lastly we have the Laura Mercier Tinted Moisturiser which is my go-to every time I want a more natural, softer base. I absolutely adore everything about this product! For a tinted moisturiser it actually has a really nice coverage and I wear this on it’s own quite often. However, I do also like to wear this under foundation if I want a more flawless high coverage look because this really helps even out my skin tone, plus foundation applies really nicely over the top of it. The tube lasts me ages as well, which I love because it’s obviously not the cheapest product but I don’t feel like I’m repurchasing it all the time. Definitely worth giving this a go if you fancy something a bit lighter and more natural, plus it’s amazing for holiday! YSL’s primer looks amazing, definitely need that in my life!